In her latest novel, Americanah, Chimamanda Ngozi Adichie touches on racial tensions, the issues of being an immigrant, and the struggle to maintain nice hair. 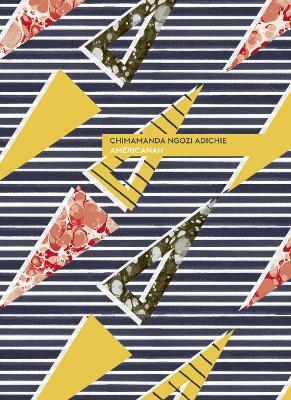 Set in both the United States and Africa, Americanah follows the story of Ifemelu and Obinze, two lovers that had to separate for many years due to the unpredictability of life. At the start of the novel, Ifemelu has been living in the United States for a number of years, has formed a romantic relationship with a man named Blaine, and has also started a blog that has become very popular. She makes the decision to move back to Africa and contacts Obinze, now married with children, for the first time in many years. The novel consists of many flashbacks that detail the origin of Ifemelu and Obinze's relationship, and how they got to their particular points in life. Ultimately, Americanah is an excellent read, especially for a classroom setting. My experience with English class for all four years of high school was either stories about blacks in prison (the lovely short stories of William Faulkner) or blacks in chains (The list goes on and on, I couldn't even fit them all in this review if I wanted to). Because of this I had my doubts about Americanah, but it was refreshing in that it offered a more positive look on the black experience by making the main characters upper class while still managing to touch on greater issues. Students should have more African-American writing in English/Literature classes that uplift blacks, rather than them being taught about slavery every single year. Americanah finds its main strength in its relatability to the reader. Even people that are not minorities can understand the struggles associated with being a minority by reading it. Ifemelu's main struggle throughout the novel is associated with race and her identity. She has trouble finding her place in the United States, having to travel miles to an immigrant-run hair salon for hair care because her own town (a predominantly white one) has no such salons available. The struggle to find one's place is something anyone can relate to, which is why the reader is able to feel empathy for Ifemelu and understand her struggles to a certain extent. In addition, it keeps the reader compelled to read more through its intriguing love story. The greatest weakness of the novel is found in its overwhelming length, clocking in at nearly six-hundred pages. At times, the story seems very drawn out and dry. A reader should never have moments where he or she just wants the novel to get to the point, and end. Everything that Americanah accomplished could have been done in half the length the novel actually was. This is where Americanah falls short when compared to some of Adichie's short stories; an example of one of these is "The Headstrong Historian". In this short story, Adichie was able to give background, have a plot and allow the story to reach a resolution and come full circle all in less than twenty pages. All in all, Americanah is a must read. Though it is long and feels drawn out at times,it is a necessary book for young men and women, especially in our world of growing racial tensions and immigration issues. What Americanah teaches is what the next generation needs to learn about if the world is going to change. It's really interesting to read as well, because of the interesting dynamic of Ifemelu and Obinze. If you're into cheesy love stories, once you reach the end of the novel you'll find that the conclusion was worth the long wait. Really sharp. This is a treasure. Well written, with the important topic of race woven into an engaging story. An excellent read. Highly recommended for book group discussions. This profound book is disguised as a gripping story. Anyone interested in race relations, immigration issues, and women's issues would probably like this book. It is well written and challenged me in many ways. I found myself enjoying this book from the first page. It felt like hearing the interesting twists and cutting observations of a dear friend's lifestory. The first two thirds of the book flew by. But I found the later part dragged. Falling back on the marriage plot and/or search for love as a resolution seemed staid, and old-fashioned compared to the freshness of the main character's perspective. I also thought that the events of the latter section were told with less of the immediacy and rich details that so enthralled me in the beginning and middle. Despite the flat ending, I highly recommend this. To paraphrase the sentiments of the main character, there's more to this book than mere plot points.